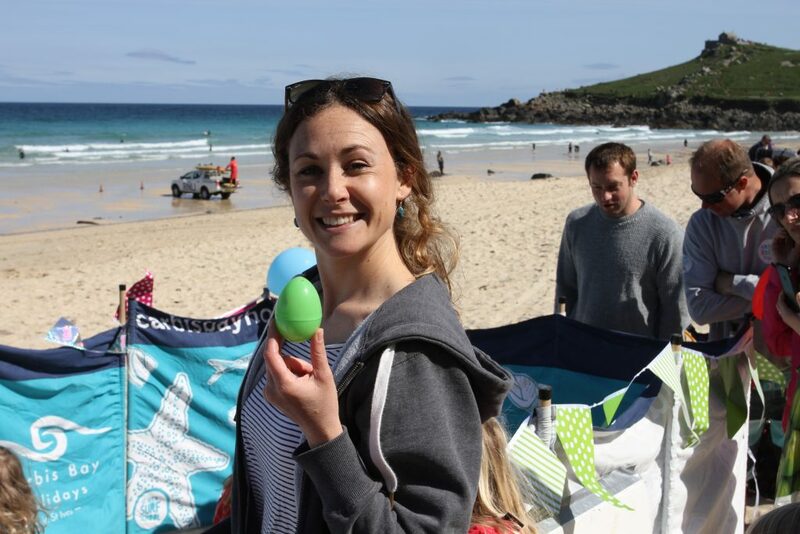 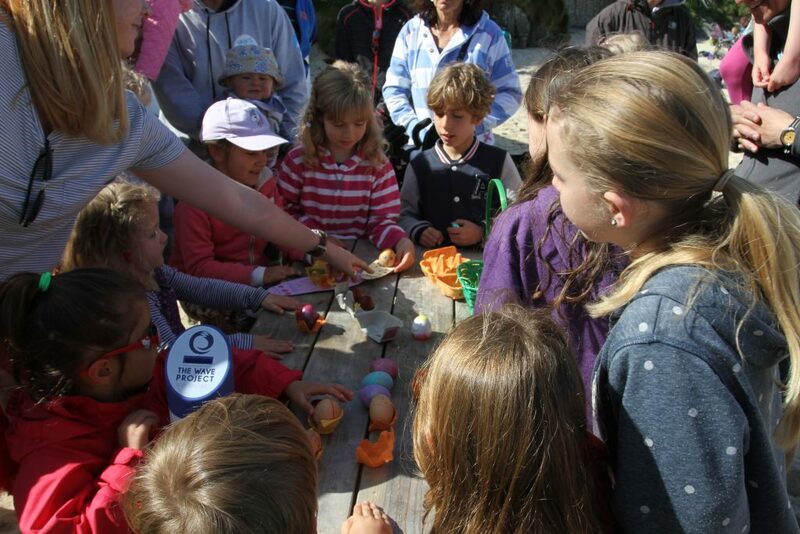 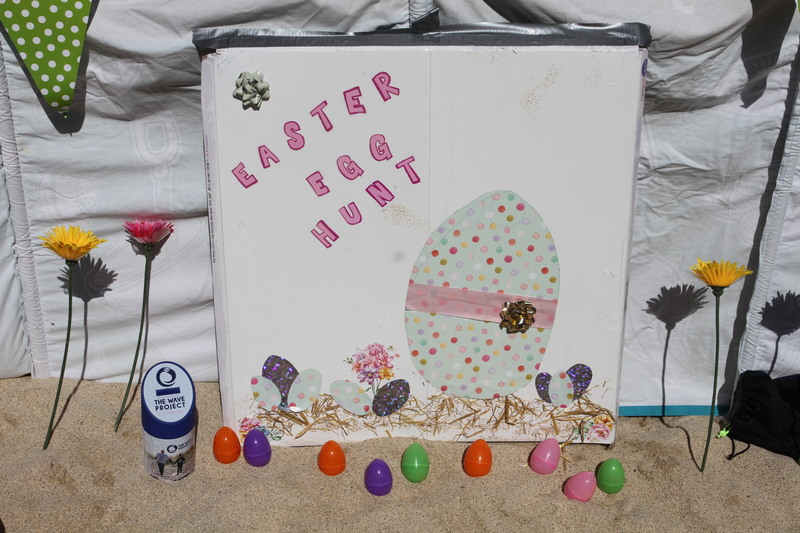 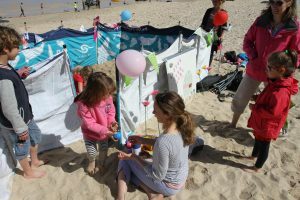 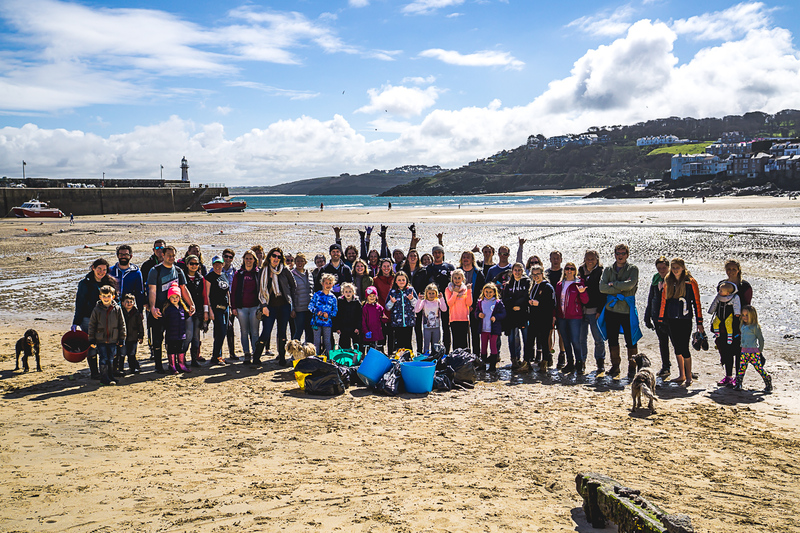 Saturday 1st of April was the date of this year’s Big Spring Beach Clean in St. Ives. 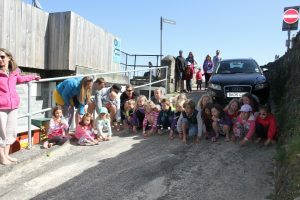 A large group of volunteers was welcomed on Porthmeor Beach by Lowenna Jones of Surfers Against Sewage and Harris Rothschild of St. Ives Surf School to be briefed on what we might find during the clean-up, and what NGO’s like Surfers Against Sewage are doing to raise awareness of seaborne pollution and to combat the sources of that pollution. 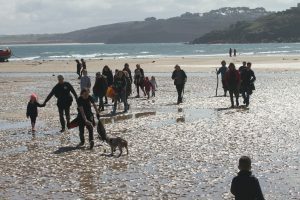 Once the briefing was complete we split into two groups, one group to work from Porthmeor West across the beach, The Island, Porthgwidden Beach, Bamaluz and the harbour from Smeaton’s Pier while the other group began at Porthminster Point and worked across Porthminster, Pedn Olva rocks and the low tide foreshore from Lambeth Walk and West Pier to meet on the Slipway. 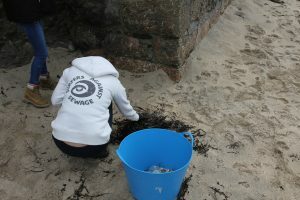 Our task was made easier this year as the Spring tide had cleansed the beaches earlier in the morning, and the three principal beaches had already received their usual morning clean from the regular service. 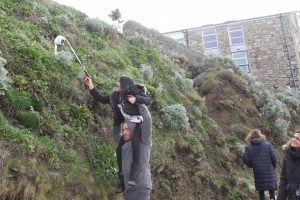 However, there was still lots to find around The Island, and plenty of examples of ‘nurdles’, the small plastic balls that are the raw material of the process of making plastics were found along Lambeth Walk where the big tides had flung them up at the high tide mark. 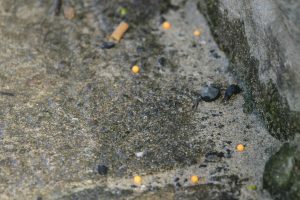 Shreds of discarded rope and random metal pieces were prevalent in the harbour along with the persistent menace of cigarette ends and fast food litter. 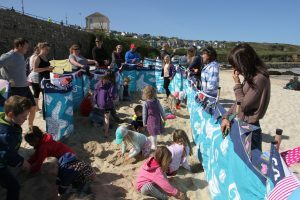 It was very worthwhile exercise of a couple of hours which reaped a small harvest of marine debris and in the process raised public awareness locally, the event being covered by the St. Ives Times And Echo, and nationally in a piece on Sky TV News featuring Surfers Against Sewage director Hugo Tagholm and St. Ives surfer Jayce Robinson. 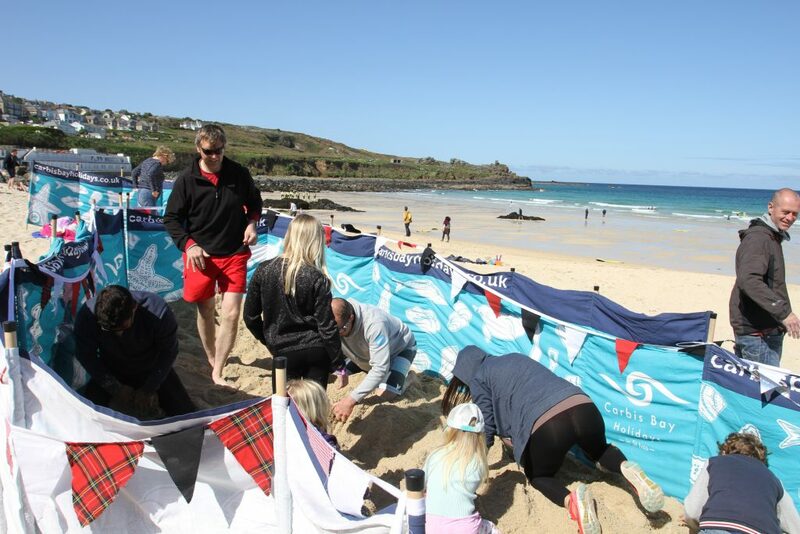 Thanks and well done to all who took part, many of whom are in our banner picture taken at the conclusion of proceedings by Matty Snelling. 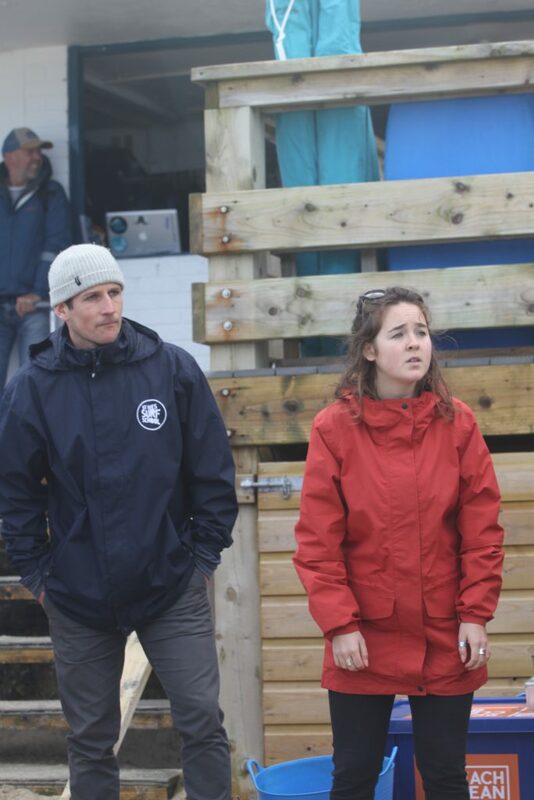 All other pictures by Nog. 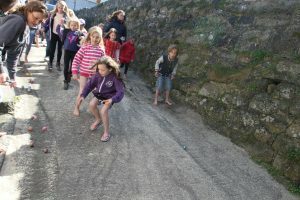 Phoebe and Jon going that extra yard!